DentiMax Dream Sensor is a thin, wired CMOS intraoral x-ray sensor. The sensor has rounded corners and beveled edges and is available in Size 1 and Size 2. The Kevlar-reinforced cable has a direct USB connection with no in-line box. DentiMax Dream Sensor is waterproof and contains a “shock absorber” plate that lies over the sensor for protection from accidental bite pressure. Each sensor includes a two-year manufacturer’s warranty. Image resolution is phenomenal. 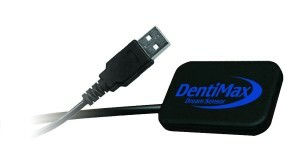 DentiMax Dream Sensor can be used with DentiMax Imaging Software or any other program that supports TWAIN capture. DentiMax Imaging Software is an open system that supports all digital dental hardware (except Dexis) and bridges will all major practice management systems. 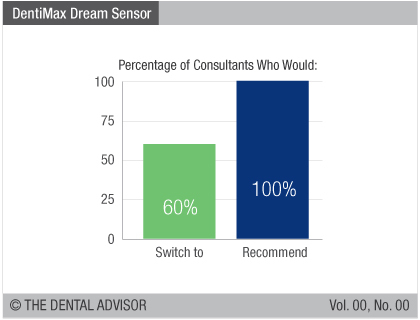 DentiMax Dream Sensor was evaluated with DentiMax Imaging Software by 10 consultants over a three-month period. 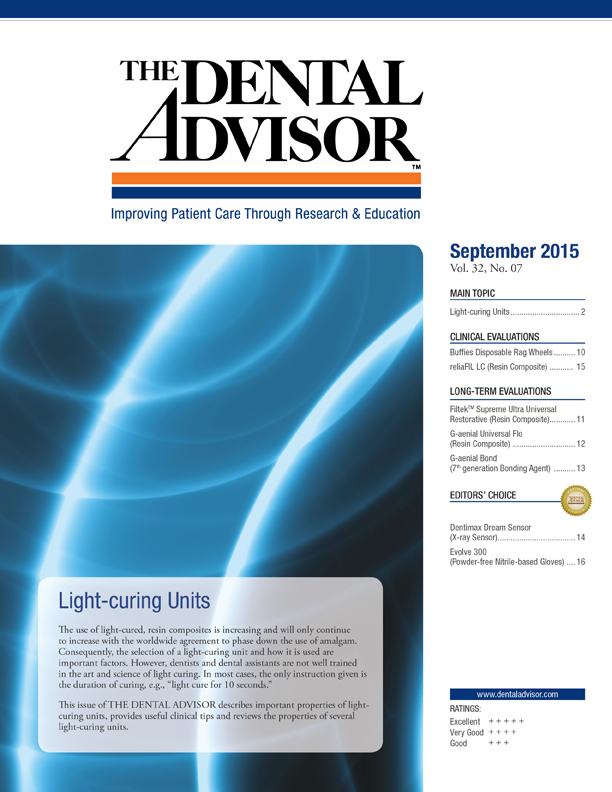 This digital x-ray sensor received a 96% clinical rating. 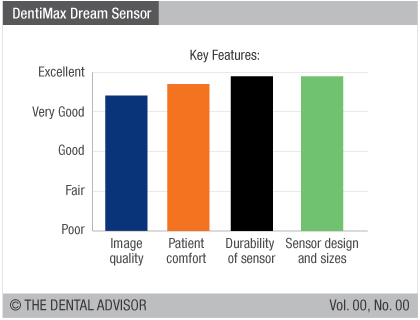 The DentiMax Dream Sensor is the thinnest CMOS sensor on the market andrated excellent for patient comfort. Dental hygienists found it easier to place for bitewing images, as the thin design readily slips between the teeth and tongue. The resulting images are clear with very good contrast and sharpness for diagnosis. The “plug and play” simplicity of the USB connection offers efficiency with a minimal number of clicks and set-up required. The design features for durability of the DentiMax Dream Sensor are reassuring to clinicians who use these devices numerous times every day and are responsible for protecting them from damage. 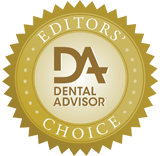 Having two sizes of the DentiMax Dream Sensor in the office satisfies adult and pediatric needs.